A memorial to miners who died in a series of mine explosions in New Castle sits in the town's Burning Mountain Park. Explosions at New Castle's infamous Vulcan mine killed dozens of miners around the turn of the 20th century. The mountains surrounding New Castle, Colorado are on fire. But don’t panic. They’re always on fire, under the surface, out of sight. The town, 12 miles west of Glenwood Springs and an inevitable stop along I-70, is home to some of the oldest burning coal seam fires in the country. While the fires themselves smolder underground, barren scars on the mountain sides are a reminder of their presence. A flat-topped mountain across the street from McNeal’s house even bears the name of its legendary coal fire. It’s called Burning Mountain and has been smoldering since at least 1899 when the Consolidated Mine caught fire.Sage brush covers the slope, except one shrubless splotch, about the size of a football field. Snow melts quickly off Burning Mountain’s slopes in winter and grasses green up early in the spring, McNeal said. Like many of Colorado’s small mountain communities, New Castle has a rich, although bloody, mining history. Big coal mines haven’t been operational there in almost a century, shuttered after a series of explosions, but evidence of its coal mining past still shows on the scarred ridges that surround New Castle. Longtime New Castle resident Joe McNeal stands in his driveway, with the scar of Burning Mountain over his shoulder. Around the turn of the 20th century, New Castle established itself as a coal mining hub, providing the fuel needed to keep nearby silver mines in Aspen up and running. Miners dug deep into the Grand Hogback ridge that runs across the Colorado River, with its rich, dense, accessible coal deposits. Then came the explosions and fires. The first, in 1896, killed 49 miners. Dozens more were killed years later in another explosion. Unstable, volatile conditions within the mines spawned out of control fires in between. Coal seam fires have been known to start for a variety of reasons. All you need is concentrated fuel and an ignition source. Because few detailed records were kept during New Castle’s coal boom, there’s no explanation for the Consolidated Mine’s fire. 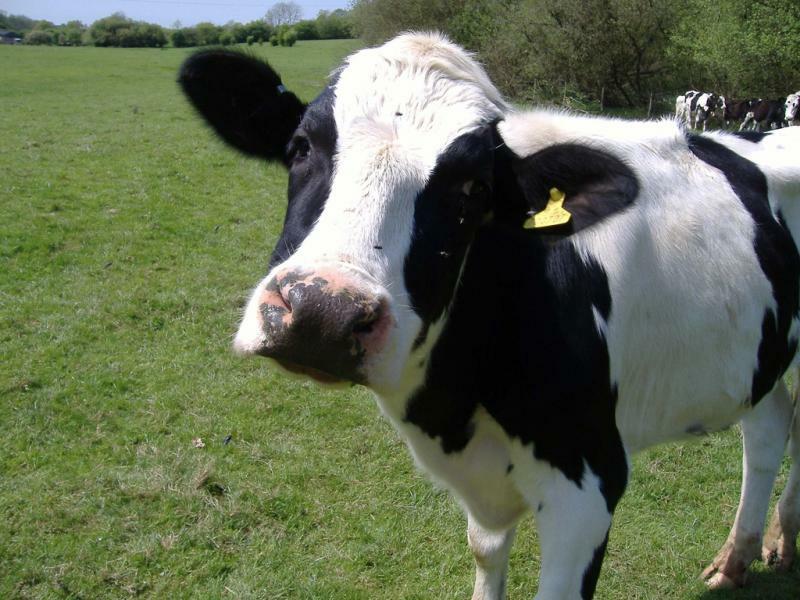 The other explosions were likely due to ignition of highly flammable methane gas which is found within coal seams, and released when the seam is mined. In the early 1900’s, few regulations existed for the industry and so venting of these noxious gases was slipshod and inconsistent, leading to quite a few explosions. The federal Office of Surface Mining keeps an inventory of all "problem mines" across the country. Not all are underground fires, but a handful of those red dots around New Castle indicate a smoldering mine. An underground mine fire sounds like a rare occurrence, but Burning Mountain isn’t that unique. A handful of other underground mine fires, Harvey Gap, Coryell and Vulcan, still smolder outside New Castle. Generally unknown to passersby driving along I-70, to New Castle residents, they’re fairly commonplace. You can take a nap in Burning Mountain Park. Get your laptop fixed at Burning Mountain Computer Services. Even the town’s now defunct bowling alley used to bear the name: Burning Mountain Bowl. “Well everybody knows it’s on fire because they have a celebration, they call it Burning Mountain Festival, so everybody knows it’s on fire,” McNeal said. The fires aren’t completely tucked away, out of sight, out of mind. 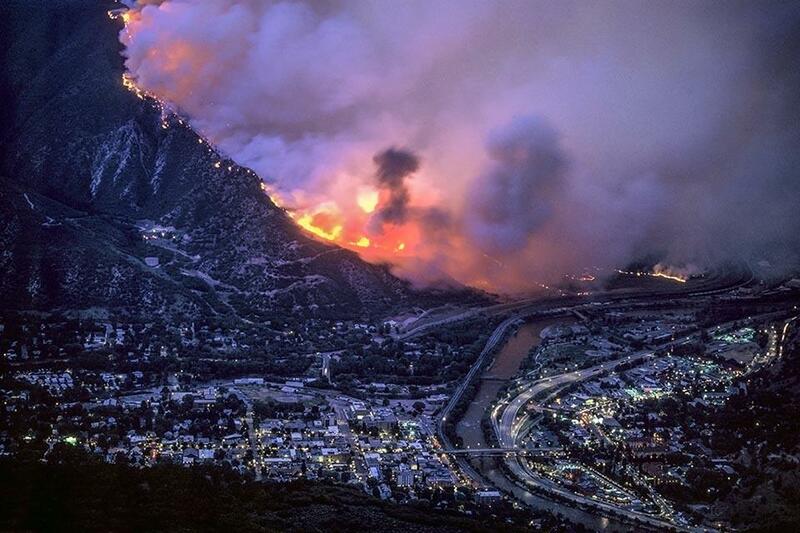 In 2002 one was blamed for sparking the aptly named Coal Seam Fire that spread quickly through a neighborhood in Glenwood Springs, torching 29 homes. The aptly named Coal Seam Fire in Glenwood Springs burned almost 30 homes in 2002. Hundreds of similar fires burn around the globe. 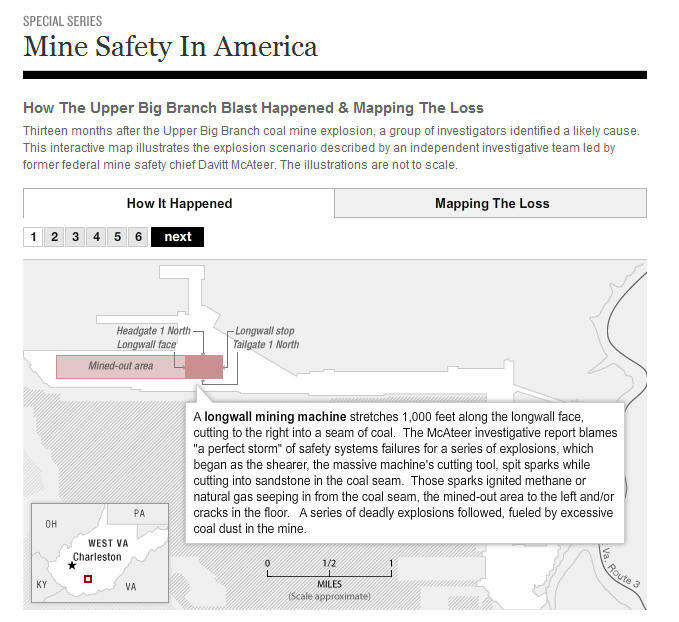 In the U.S. the more prominent abandoned mine fires are in Pennsylvania, Ohio and Utah. The highest density of fires in Colorado? Right in New Castle. “The stories of New Castle are just, they’re like an onion,” said Dale Shrull, a writer with the Grand Junction Sentinel. He grew up in New Castle and wrote a book about the town’s mining past. “You peel one, and it’s about mining to begin with, but then it goes into railroads and railroad crashes,” Shrull said, and then into labor disputes and politics and Wild West lore. Shrull pieced together old newspaper articles and mining records to write his book, which traces the town’s path from coal mining town to sleepy ranching hamlet to bedroom community for nearby ski resorts. All the while the underground fires burned, leaving marks on mountainsides. “That’s what I love about that barren scar because it is that reminder of New Castle’s history and its origins that never goes away,” Shrull said. The mountainside scars aren’t necessarily bringing in droves of tourists to gawk. But the rich history enough to keep long-time residents like Joe McNeal occupied. A volunteer at the town’s history museum, he’s always ready to keep passing along the legend of the still-smoldering Burning Mountain to whoever will listen. “I’m repeating what somebody else has told me. That’s why I say, these are stories,” McNeal said. Stories about a small town with a Wild West history and a few hidden fires. Explore the map and help us find more of the lost, forgotten or the little-known in the Centennial State. Have an idea? 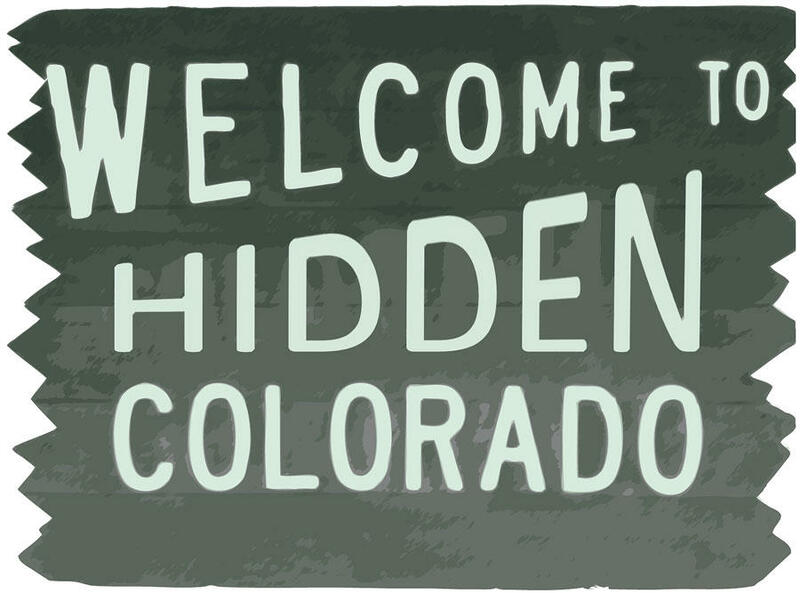 Send us a tip for Hidden Colorado. 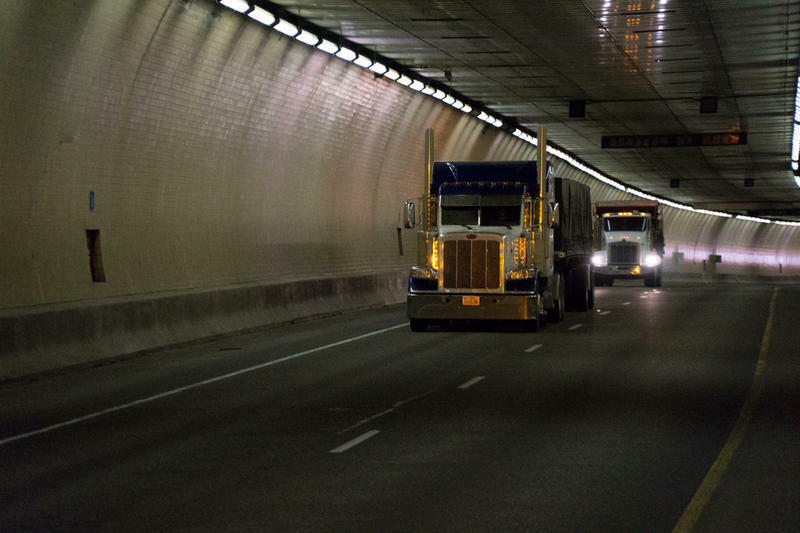 You’ve most likely driven through the Hanging Lake Tunnel on Interstate 70 near Glenwood Springs. You’ve probably never noticed a giant hanger door or at least paid it no mind. Just behind that door sits a full-time fire and rescue department and one of the most technologically advanced traffic command centers in the state. There’s a lot of action going on in the 4,000 foot tunnel situated next to the Colorado River, much of it you’d never get a chance to see – until now that is. An effort is underway in the far reaches of Pitkin County, to repair damage from an abandoned mine. 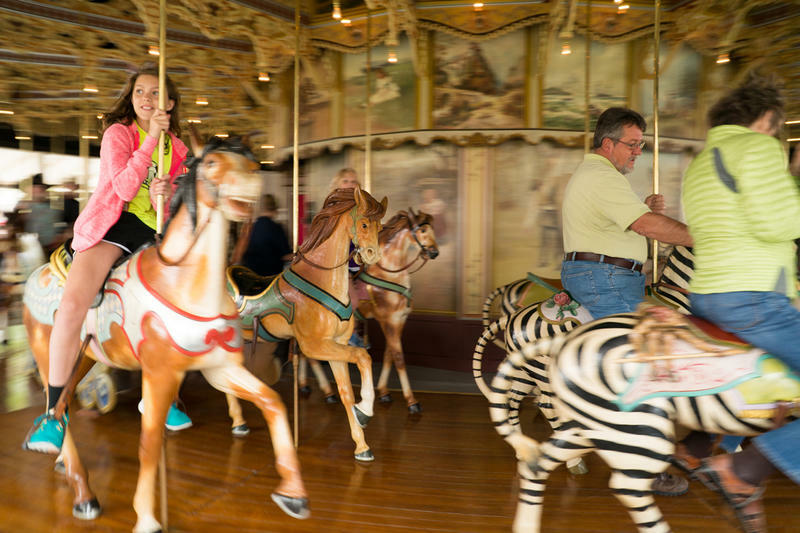 At 109-years old, it is the only of its kind in the country; still, few outside of those living in this rural county seat have heard of Philadelphia Toboggan Company Carousel No. 6. It’s simply called “the carousel” by most Burlington, Colorado residents.